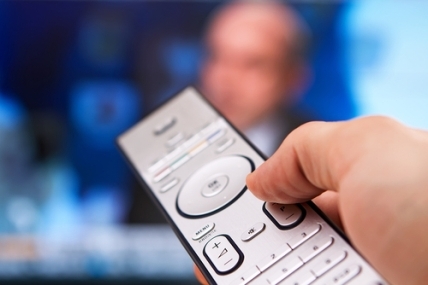 How Dissatisfied are TV Viewers? If you believe that industry disruption tends to come from “outside” an industry, instead of from inside, then it follows that the places the video entertainment industry has to look for challengers is mostly outside. You might point to Netflix, which not only has created a new content delivery model, but also is changing the way people “watch TV,” such as when Netflix releases an entire season of shows at once, instead of serializing them over a period of months. Netflix also is giving content producers new options for funding, as when a network cancels a series, but then Netflix decides to fund it for another season. That illustrates a subtle shift in content creation options, financing methods and distribution channels. Of course, by now Netflix increasingly is becoming an “inside the industry” force. But you see the point: a Skype (News - Alert) is more likely to disrupt than a telco. But one of the reasons disruptors can gain a toehold, then begin to disrupt on a wider scale, is that there is latent buyer dissatisfaction. And that is a growing problem for the subscription TV business. Research company GfK surveyed U.S. households with TVs and found that in 2013, 19.3 percent of respondents had broadcast TV only and did not subscribe to any subscription TV service. That is a 38-percent increase from 2010, when only 14 percent of households relied solely on broadcast TV. To be sure, that is a higher percentage of “no subscription TV households” than some other studies suggest. Perhaps most studies of video subscription cord cutting suggest that single digit percentages of U.S. homes have abandoned the product. But that is the key: there is lower demand for the video subscription product. We can speculate about why that is the case. Growing cost is probably a major driver of the trend. But sometimes even cost is not the problem. Most people know somebody who does not watch any TV at all, or does not buy a video entertainment service. In the long term, that is the big threat: lack of demand. Nielsen says there are about five million U.S. households that do not own TVs. A growing percentage probably own TVs but do not use them. A shift to streamed TV drives some of the change. Use of broadcast TV only represents a significant part of the behavioral change. As we already have seen with fixed network voice, products have life cycles. Skype, you might say, has disrupted international voice. But at the same time, fewer people in developed economies want to buy fixed network voice. An apparently growing percentage of people simply do not value subscription TV or broadcast TV enough to watch it or pay for it. The same product life cycle might be at work.